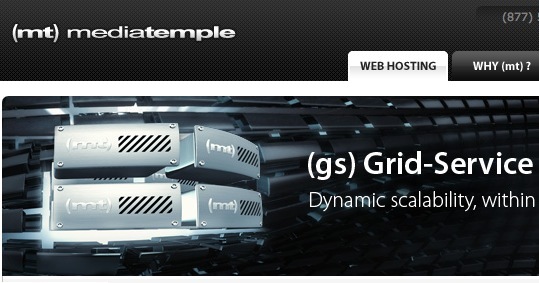 Congratulations and welcome to (mt) MediaTemple ’s grid server, icerabbit. The first attempt failed two days ago without error messages or explanation. The Windows Vista SP 1 upgrade went fine all the way through Step 3 100%. Then reverted. Armed with the knowledge that the display driver is incompatible with Vista SP1, I updated the display driver successfully and made another attempt. 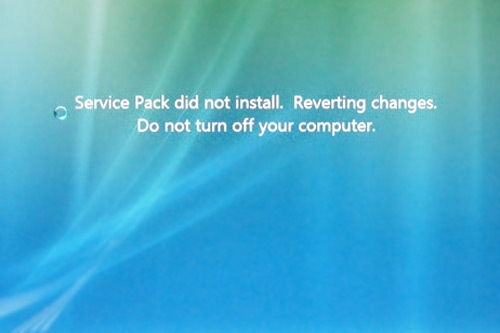 “Windows Service Pack 1 was not installed on your computer. Error code 0X800F0826. See http://go.microsoft.com/fwlink/?LinkId=101139 for details. Ok. At least we get an error message this time. 1. Restart and try again. Really? 2. Check your hard drives for errors. 3. Run system file checker tool. Not bad, if it weren’t that the file is 148626 lines long. 4. Run Vista Memory Diagnostic tool. Isn’t life great. Another useless MS error box. 5. Restart and close any applications that may be running. Another attempt, despite the corrupt files and memory problems (which never have been diagnosed nor an issue before) did result in the same problem. suggesting to look at the update history and trying to resolve the individual update error(s). The first time I tried the installation, using the standalone downloadable installer, it went all the way through to step 2. Then crashed upon reboot with a blue screen of death (BSOD), was unable to repair the startup problem, but was finally able to do a system restore. My two conversations with Toshiba Technical Support were of no help in identifying the problem I experienced, other than that in the mean time I figured it out on my own. Or, I should say, at least figured out one part of the equasion, namely that the display driver on this machine is not Windows Vista SP1 compatible. The Intel 965 Express driver on the Toshiba Satellite U305-S2804 is v 7.14.10.1329. This versions fits right into the beginning of the range 7.14.10.1322 and 7.14.10.1403 that is incompatible according to Microsoft (http://support.microsoft.com/?kbid=948343). But, there has to be a newer driver out, right? A quick download later, the Intel driver installation alerts me that this driver is not certified for my machine and that I should download the latest version from the manufacturer. Mmmm. Back at Toshiba there is nary a download for the U305. Through a chipset search I find that the latest driver predates my machine’s purchase and matches v 7.14.10.1329. So, no SP1 love right now for this Toshiba notebook. And, of course I have to be the first and only one at this point in time who can’t install SP1 on this particular machine. What are the odds? Update: Toshiba is bumping me to level 3 tech support, advanced engineering since it is a driver/firmware issue and their department will be giving me a call back in the beginning of next week. 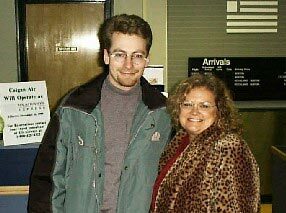 This weeks marks the 8th anniversary of moving to the US. It certainly makes you reflect on how fast time flies. I remember living and working in Belgium like it was 3 years ago. How could it be 8 years already? Any regrets? No. Not really. You hate leaving a void with your closest family and friends, especially when some are going through a hard time. But as a whole, do I regret moving to the US? No. How are things with you and Carolyn? Things are good. We are very happy together and are both doing well. We are in a good place and good situation. Is living there how you thought it would be? Yes & No. Yes, because I knew it a little bit from traveling here. At the same time, we are living quite differently than we had originally planned. We have not settled down yet. We have been pretty mobile and plan to stay that way. We live in two places, so there are some practical long distance issues, as you can imagine. Business is different than we had planned, but we are doing good. We will see what the future brings. Are you a US citizen now? No. Not yet. Do you miss Belgium? Sometimes. I haven’t been there in several years, so one automatically misses friends & family. From time to time we catch a travel show on TV highlighting Belgium or places we have visited. It brings back memories and makes you want to pop in to say hi and refresh your memory of what it is really like to be there. When are you coming to Belgium/Europe again? Not in the near future. Have you seen the Euro/Dollar rate lately? 1.55 USD for 1 EURO is a 50% tax for Americans to come to the EU. I can’t imagine paying 50% extra for fuel, hotels, … Maybe you guys can swing this way? It is a bargain at 50% off. What’s the biggest thing that is different about you now? Doing construction work. I thought I would be doing purely computer stuff and clerical work. I didn’t think I was cut out for construction work, but it turns out I am. And, I owe it all to a little encouragement from Carolyn with the first few little projects. We were unhappy with the cost and results of a couple things we hired done at our first home and I figured I could do a lot better for less cost. Apply some brain power. Analyze it, come up with a strategy and go for it. And the second thing? Smarter & braver. I can for instance jump in the car and drive anywhere in the US with minimal notice & minor to no preparations. Initially the US it is kind of intimidating because being from Flanders you think small. Drive an hour each way and you are in different country. Years ago I couldn’t understand why Americans would travel across Europe in 7 days. But travel and distance are different here. A few hours driving is nothing. Things are on an entirely different scale. By the way: Americans don’t get much time off from work, so they pack as much as they can in a short vacation. What haven’t you done enough? Travel & sightseeing. Windsurfing. Anything that surprised you? Hearing I have a talent for skiing and water skiing. Are there some things you wish would be different in the US? Health insurance. The cost goes through the roof. Large sections of the population can’t afford insurance. Other sections of the population have insurance but are denied treatment. Any reason is good enough to deny coverage. Way too much time and money is wasted on paperwork, applications, pre-approval processes, reviewers, … and not enough care given. The administration just drives up the cost of providing care and insurance itself. A never ending spiral. Commercials on TV. Most channels are like Eurosport. Commercial break every five minutes. It just makes we want to turn the TV off. Political campaigning. The amount of money spent on campaigning and the amount of coverage in every news cast on every channel, day after day, week after week, month after month, year after year is just … insane. It just doesn’t stop. What is next? Strapping a camera to the candidate’s head and following every word & move 24/7? Driving. In a way driving in the US is relaxed because of the lower speed limits, but quite a lot of people have totally unsafe driving habits: no safe driving distance, aggressive driving, not stopping at stop signs, running red lights, slow traffic staying in the left lane,text-ing behind the wheel, etc. And all the police seem to focus on is speeding. Maybe if everybody would drive safer, we could get some higher speed limits on the interstate that are more in keeping with our rushed lives and save a little time on long distance hauls. It doesn’t have to be 65-70mph on many quiet stretches of interstate, but it is not likely to change. What car do you drive? A Chrysler minivan. No convertible yet. Right now I’m more thinking about a pick-up truck with a snow plow. Are you still into computers & electronics? Of course! I have scaled back some, but yeah, I’m still quite ahead of the curve. Any cool hardware recently? I still think the Nokia N800/810 & OQO o2 are marvelous pieces of technology. iPhone? Not enough features yet and tied to AT&T, so no. Mac or PC? Both. I indeed switch to Apple in 2002, but Apple isn’t all it could be and should be so, I found my way back to using pc systems because Apple’s product line is too limited in some respects and under featured. Linux? Some. Not enough time to delve into it. I have enough to catch up with as it is. When will the site be updated? Soon, I hope. I am waiting on an iBlog export function to centralize things without having to edit every single entry and have been distracted with a few other projects.